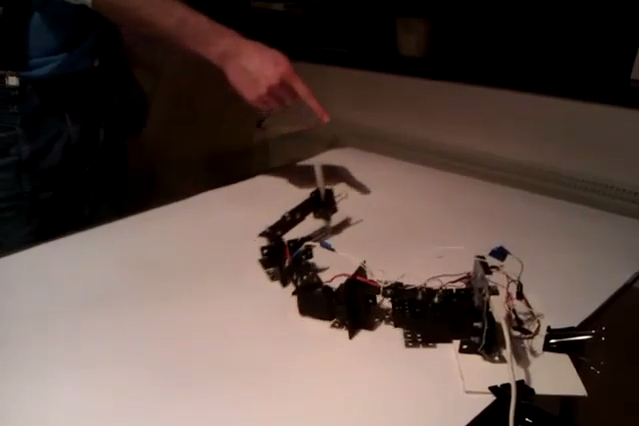 The design incorporates all those aforementioned components to create a robotic arm that mimics your own arm by using tracked data from a Kinect. It's holding a pencil as well so you're able to autonomously draw a picture in mid air and have the robotic arm turn your "air art" into something tangible! Check the video to see the project in action!